Located within easy access to Cape Town in South Africa, The Peninsula resort is known for its stunning views and friendly staff. While visiting the area you can enjoy a variety of shops and restaurants or just hanging out at the resort and lounging by the swimming pool. The modern and well-decorated timeshare units will provide all the comforts of a true holiday home. 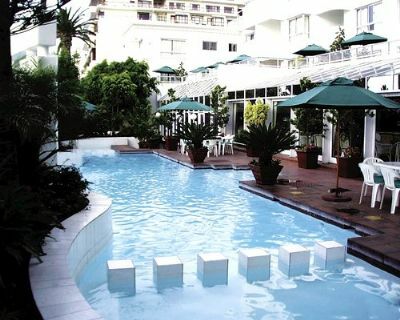 The Cape Town timeshares for sale at The Peninsula resort offer studio, one, and two-bedroom units. These units also include a full kitchen with refrigerator and microwave. The bedrooms will sleep from two to eight people depending on the size of the unit. Cable television, free Wi-Fi, and a balcony create an atmosphere of relaxation and fun. Many guests also enjoy the 24-hour room service, laundry service, and a free shuttle that runs within an 8km radius of the hotel. On-site amenities include both an indoor heated swimming pool and an outdoor pool. After spending some time relaxing, you will want to check out the Strolla restaurant and bar where you can get a coffee to go, an authentic meal, or cocktails on the deck overlooking the beautiful seascape. Many guests also enjoy the tech room where families can indulge in video games or the exercise room where you can get a workout before starting the day. After spending time near the water or shopping in Cape Town, the Sunset Restaurant, which serves breakfast, lunch, and dinner alfresco, is the perfect way to begin or end the day. While visiting South Africa, you will want to take advantage of a variety of activities. 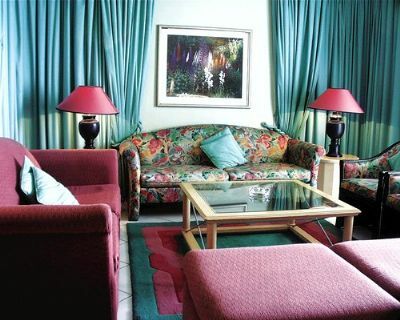 Cape Town timeshares for sale can offer several different types of units at The Peninsula to meet the needs of your family and friends. Visiting the wineries, the bays, or the quaint shops and restaurants will offer fun for the entire family. If you have always wanted to go horseback riding on the beach, Noordhoek Beach is a popular location to ride along the white sandy beaches. If you are seeking a great vacation destination in South Africa – you will fall in love with this resort. Contact Peninsula, The Specialist Today!